The number of people employed as a ‘Fitness instructor’ (covering most of the in-person teaching roles in the fitness industry, including personal trainers) has more than doubled over the past decade, and is expected to continue to grow at a slower rate over the next five years. Find out more about our workforce in this report. 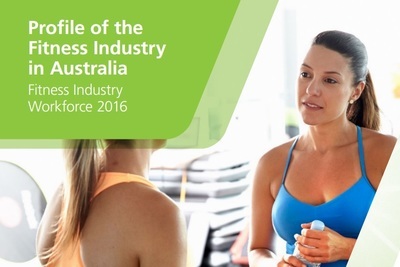 Australian Bureau of Statistics (ABS) participation rates for fitness activities are used here to estimate the size and characteristics of the customer base for fitness services. The 24-hour gym is in many ways the logical extension and apex of consumer calls for ‘more flexibility’ in their options for belonging to a gym. The most recent figures available from the ABS show that between 2000-2001 and 2004-2005, the number of fitness centres and gyms in Australia grew from 667 to 824, while income grew from $294.3 million to $679.4 million, with profit almost doubling from $16 million to $30.3 million. The number of people employed as a ‘Fitness instructor’ (covering most of the in-person teaching roles in the fitness industry, including personal trainers) has more than doubled over the past decade, and is expected to continue to grow at a slower rate over the next five years.